If you’re on the lookout for something new to listen to, you’re in luck. There are two new Irish podcasts coming out in February which I am particularly looking forward to. There’s a new season of the always excellent Meet Your Maker and a brand new documentary series, Behind the Curtain. Behind the Curtain is a new four-part documentary series exploring the hidden histories of four of Dublin’s oldest surviving theatres. It will be broadcast on Dublin City FM and released weekly as a podcast, starting on February 5th. 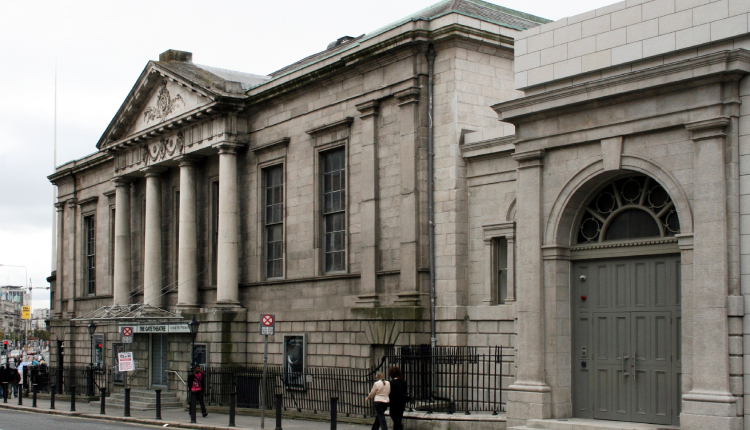 Each episode focuses on an unheard story from a Dublin theatre: The Abbey, The Gate, The Olympia and Smock Alley. There’s the story about the dancer with the Olympia Theatre and her connection to the backstreet abortionist who was the last woman sentenced to death in Ireland. And then there’s the story about the centuries old sexual harassment scandal in Smock Alley Theatre and how it led to a citywide riot. I’ve had a listen to a preview of the first episode – the fascinating story of Orson Welles’ time in the Gate Theatre – and can’t wait to listen to the rest of the series. The show is co-produced by Hugh Hick and Heather MacLeod and features guests from across the Irish theatre world, including theatre historian Christopher Morash, Abbey Theatre archivist Mairead Delaney, actor Hannah Carnegie, and former Dublin Theatre Festival Director Tony O’Dalaigh. Another show about artists and creators, Meet Your Maker returns for a 4th Season on February 4th. Audio producer Liam Geraghty returns with his New York Festivals Radio Award nominated podcast Meet Your Maker. Season 4 will feature guests such as American cartoonist Chris Ware, Oscar nominated filmmaker Nora Twomey, Senior Conservator at the Chester Beatty Library Kristine Rose-Beers and video game maker David O’Reilly. I am big fan of Meet Your Maker and previous seasons have told the stories of a fascinating variety of cultural creators, woven together with an attention to audio detail so often missing from other interview shows. But, don’t just trust me, The Irish Times has called the show “a gorgeous mix of interview and archive audio”, Bello Collective named it one of 100 Outstanding Podcasts in 2018 and it appeared on Radio Public’s list of 17 podcasts that started in 2017 that I couldn’t imagine a world without. You can check out previous episodes at www.meetyourmaker.ie and listen to a trailer for the new season below.